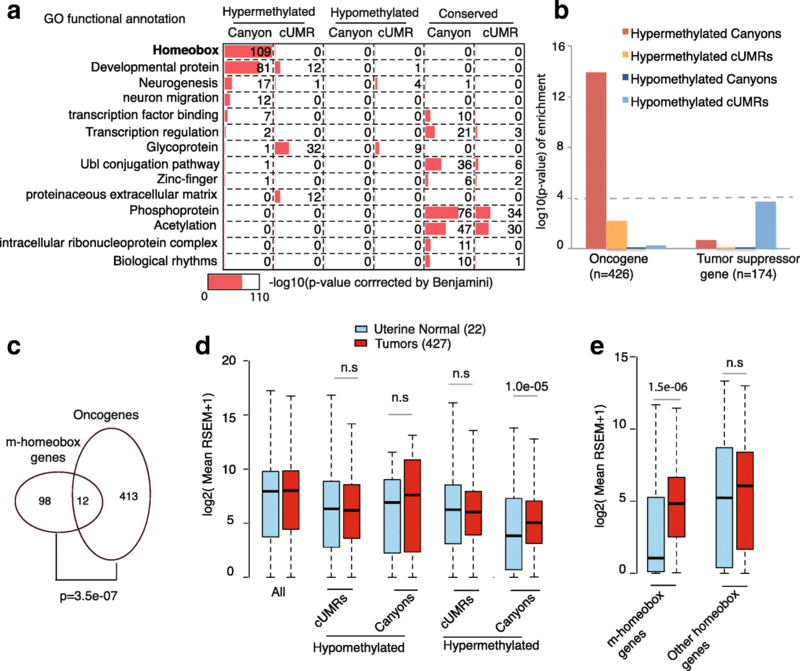 Besides promoter hypermethylation, several studies have established a positive correlation between gene expression and gene-body DNA methylation [16–19]. For example, the deoxycytidine-mediated gene-body hypomethylation has been shown to cause gene repression . However, the causal claim in this study was based on the global hypomethylation agent 5-aza-2′-deoxycytidine, which lacks specificity and potentially suffers from significant off-target effects. For example, about 42% (188,631 out of 482,421) of the probes on Illumina Human Methylation 450 K BeadChip data were hypomethylated after deoxycytidine treatment in HCT116 cell . Thus, whether the repression of a specific gene was caused by gene-body hypomethylation of the same gene remained unclear. 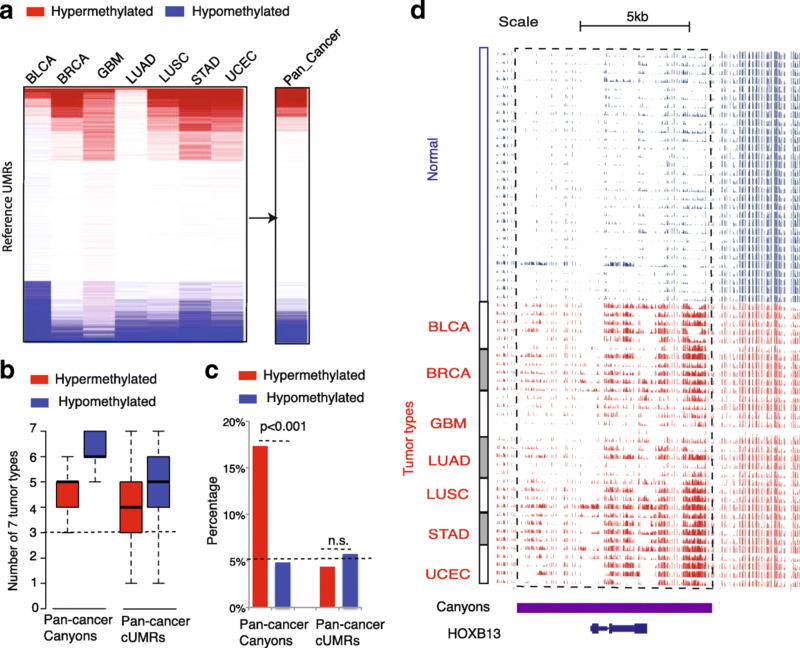 Our pan-cancer analysis of 35 solid tumors across seven cancer types revealed that DNA hypermethylation preferentially occurs in broad (i.e. canyons) but not in short UMRs. To overcome concerns regarding the lack of matched normal tissues, we removed tissue-specific UMRs in our pan-cancer analysis and then focused on UCEC tumors and their matched normal tissues in the downstream functional analysis. The hypermethylated canyon genes are strongly associated with increased expression of homeobox oncogenes and represent a unique set of genes whose expression might be more susceptible to gene-body methylation change. 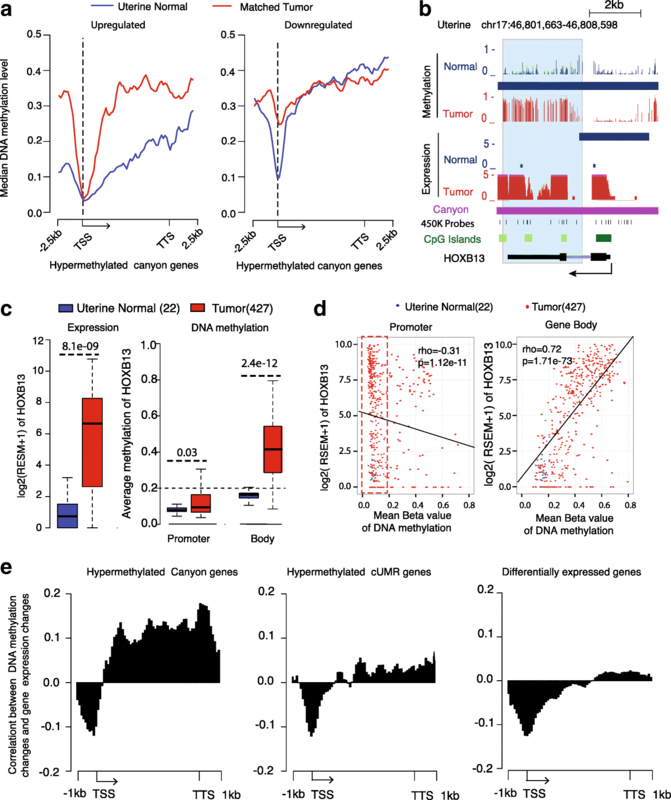 Our locus-specific dCas9-mediated DNA methylation editing experiment reveals an unexpected causal role of gene-body canyon hypermethylation for gene activation. 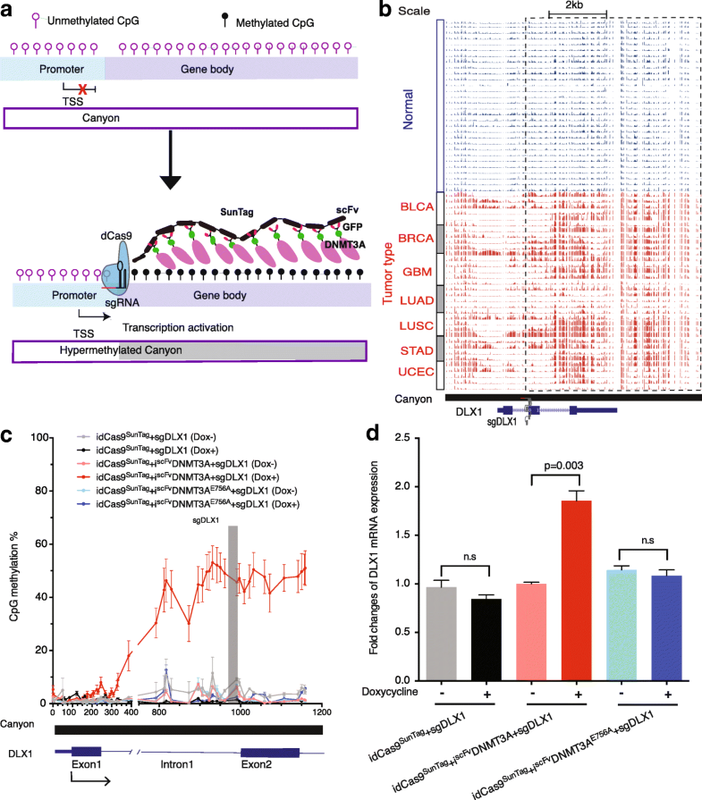 This is fundamentally different from the well-known promoter hypermethylation [10, 39–41] leading to the silence of tumor suppressor genes.